NOTE: According to ICVL policy every author of a plagiarism based rejection is banned to send future articles to the conference. 0. HOLOTESCU CARMEN (1), PhD Prof.
GROSSECK GABRIELA(2), PhD Assoc. Prof.
Abstract: Worldwide opening up education using emerging and mobile technologies, blended/flipped classroom paradigm, Social Media, Open Educational Resources (OERs) and Practices (OEPs) and Massive Open Online Courses (MOOCs) is a priority, the last years bringing many progresses and innovations, but also demanding challenges. An Open Educator is a teacher/ practitioner having the knowledge and competencies needed to use and apply the open education principles in his/her classroom, amphitheater or blended course. •	How the current policies and literature defines the Open Educator term? •	Which are the needed knowledge and competencies for Open Educators? •	Which are the reasons for the limited number of educators embracing the new technologies and pedagogies? •	How specific programs and policies at institutional and national levels can support Open Educators? •	Is it possible to gain the needed knowledge and competencies by participating in a number of quality Massive Open Online Courses? •	Which are the characteristics of quality MOOCs? The authors will present ten selected MOOCs, with their curricula, multimedia modules, modes of facilitation, hosting platforms, etc., which could assure the formation of Open Educators. The eleventh proposed MOOC is a massive course in development by the authors, who are part of the NOVAMOOC project team. This article could interest the teachers wanting to become real Open Educators and also the managers of institutions working to develop the strategies/policies for opening up education. 1. GRIGORE ALBEANU, PhD Prof.
Abstract: Blockchain Technology (BCT) is the newest challenge when consider the security of distributed databases inspired from distributed ledgers introduced in order to manage Bitcoin transactions. However, BCT is more than Bitcoin. This technology can be applied in various fields including education. In this work, not only an overview on the BCT, but many details are described when apply BCT in education not only by individual institutions, but also by groups of institutions or at national level. A short list of applications includes: school records management (Student transcript/degree/test score/record validation and transfer, including those associated with college admissions); educator credentialing/certification/re-certification (including across state and national lines); management and tracking of school assets (like property, buses, furniture, textbooks, library books/journals, and technology); management of student privacy and parental opt in/opt out permissions; management of special education/school lunch/attendance records; distribution of public programmatic funds or private grants; distribution and payment of student loans; license/dissertation/PhD thesis management. Abstract: The article describes the contribution of Romanian scientists in several fields of scientific research, on the fundamentals of calculus theory, the fundamentals of cybernetics, the algebra theory of automatic mechanisms, the mathematical logic applied to the construction and use of the first electronic computers, etc. In the 1960s, Romania was considered among the first countries in the world (after the USA, England, USSR, Germany, France, Japan, Austria, the Netherlands, Italy, Denmark) on research and efforts to build an electronic computer. The Romanian School of Mathematics developed under the influence of the Romanian mathematicians who supported their doctorates with prestigious mathematicians from France, Germany, and Italy. Mathematician Gabriel Sudan (1899-1977) published in 1927 (before W. Ackermann, 1928) the first recursive function that is not primitive recursive. Dr. Ştefan Odobleja (1902-1978) - a professional military doctor, is one of the forerunners of generalized theoretical cybernetics and Artificial Intelligence, the author of "Consonant Psychology," published in Paris for the first time in 1938. In the 1950s, Grigore Moisil (1906-1973) developed a new theory of finite automata and proposed what is known today as "Łukasiewicz–Moisil algebras" and which Gr. Moisil applied to the logic of commutation circuits, which is an important contribution to the development of computer science. Abstract: The article describes the contribution of the Romanian scientist Dr. Ştefan Odobleja (1902-1978) to the emergence, development and development of Cybernetics, whose ideas and concepts meant the emergence and development of computer science. The scientific activity of Stefan Odobleja, a military physician, makes his ideas, results and visions a precursor to Cybernetics and Artificial Intelligence. His major work “Psychologie consonantiste”, first published in 1938 and 1939, in Paris, established many of the major themes of cybernetics regarding cybernetics and thinking systems ten years before the work of Norbert Wiener (1894-1964)-mathematician, published, in 1948. Odebleja's contributions are all the more important if he is considered to be a physician, because they have created ideas and concepts complementary to some ideas introduced by N. Wiener. It can be appreciated that during 1920-1940 the ideas and studies on Cybernetics appeared, the science that laid the system concept (for man and the car), the structure of the systems (control and communication between the components of a system) and which led to the construction of the systems computing (computer system). Dr. Stefan Odobleja was recognized as a precursor of Cybernetics at the 4th International Cybernetics Congress, held in Amsterdam in August 1978. His Communication "Diversity and Unity in Cybernetics" was presented at the Congress by Dr. Stelian Bajureanu. After the presentation of Odobleja's work, the participants chanted "40 Years of Cybernetics," although they were celebrating "30 Years of Cybernetics" and mathematician Norbert Wiener. Abstract: A street traffic light for cars has been developed using data acquisition board (DAQ) and National Instruments LabVIEW software package. Data acquisition will be made through the NI USB-6008 development platform. Programming will be done using the LabVIEW graphical programming software. The data acquisition driver developed by National Instruments, NI DAQmx, is the software for easy hardware communication. For implement this project we will need the following materials: an NI USB-6008 data acquisition board, breadboard, 3 LEDs (Red, Yellow and Green), 3x220 ohm resistors and jumpers wires to connect. Abstract: The purpose of this paper is to design and implement a low cost system intended in terms of hardware and software, to make a street traffic light for cars. This system will be built using the Arduino Uno development platform, and programming will be done using the LabVIEW graphical programming. Hardware resources that will be used in the paper are: Arduino Uno, a red, yellow and green LED, a breadboard, 3 x suitable resistors for the LEDs you have (probably 220 Ohms is fine) and connecting wires. The results will be displayed through the serial interface on the computer in the LabVIEW program, and also on the three LEDs on the breadboard. Abstract: Computers have changed the face of dictionaries, but also the lexicographic landscape, including the way lexicography is taught. Nowadays, it is easier for students to put into practice their theoretical knowledge and take part in the design and construction of new lexicographic tools. This paper will focus, on the one hand, on the LEXICA-Admin glossary project as a teaching instrument, because it involved the participation of master students from Transilvania University of Braşov, and was based on the infrastructure of the pilot e-dictionary Lexica (http://lexica.unitbv.ro/). On the other hand, we will refer to the result of the project, i.e. an intranet Romanian-English glossary of administrative terms from higher education, a necessary tool for university staff dealing with the translation into English of official documents. Thus, we will first present the aims and features of the glossary, and then we will describe the stages of the project, emphasizing their challenges and associated outcomes for students. Abstract: There has been few descriptive and in-depth study on teacher cognitions about how to use digital technology in English literacy instruction, and not many studies that describe their use of digital technology in detail. This is an issue that should be given attention because teachers' cognitions about and use of digital technology are often associated with each other, and the knowledge of these elements is essential for improving the quality of teaching and learning. The objectives of the study are: 1) to examine the nature of Malaysian teachers’ cognitions about (the use of) digital technology in English literacy instruction, 2) to investigate the origin of teachers’ cognitions, 3) to explore how Malaysian teachers use digital technology for literacy instruction in the classroom, and 4) to examine how Malaysian teachers’ cognitions about digital technology are related to their use of digital technology in ESL literacy instruction. This study examines teachers’ cognitions about and uses of digital technology in English literacy instruction among three teachers in Malaysia. While being descriptive and exploratory in nature, this research design focuses on employing a multiple case study approach. The teachers were surveyed, interviewed, and observed about their cognitions and uses of digital technology in English literacy instruction. Results showed that although the teachers surveyed strongly believe in the abilities and capabilities of digital technology in improving teaching, they still seem to have some concerns and confusion about the implementation of the use of technology as a whole. Abstract: Based on a survey of more than 500 college students in the U.S., Poland, and Romania, this paper identifies how a teacher may train and prepare the students to work in groups while taking online and traditional courses. As such, our approach is prescriptive. As the demand for online courses escalates and more and institutions of higher education come onboard offering courses and programs, a demand is growing for the content developers as well as teachers who can hold the students’ attention. Simple talking-heads and text-heavy PowerPoints slides are ineffective in online delivery. Creativity, visual variety, and engaging assignments are going to separate the successful courses from the failed ones. The challenges for the online teachers are further complicated by an ever-growing demand by the employers for people that can successful work in teams, and collaborate with other group members. Cooperation is deemed more important than leadership. Previous research has shown that learners in traditional classroom settings tend to view group work as non-productive, wasteful, and experiences lacking in equal inputs from all group members, thus, causing frustration for the active participants and an opportunity for the free-riders. Most teachers leave the students to figure out for themselves as to how to complete the given assignments. The result: dissatisfaction among the learners, and projects that are of average quality. This paper offers some suggestions for effectively incorporating group projects in virtual learning experiences. Abstract: Paperwork reveals the achieved results about the study of knowledge formation with specificity to the domains of compliance and conformity, two concepts developed within a specified learning space. These concepts require an ontological perspective definition. Conformity and nonconformity versus compliance and noncompliance are all approached to define how and when the knowledge formation occurs and what are possible adverse effects developed for the case of nonconformity. Research methodology goes on the theories of Experiential Learning, Knowledge Space and Conceptual Space. These are embedded into an ontological framework intended to give a proper view of the learning process. This approach had reduced, but enlisting only, the importance of the teacher or learner perceptions as these comes with subjective arguments into the theme herein. The definitions of conformity and compliance within learning space are constructed based on certain formulas introduced about learning process trigger, learning trigger ontological nature and typology of existing mental objects within the specified conceptual space. The achieved results showed a specialization over the considered concepts depending upon the involved mental objects got a physical representation or not. Compliance is the case where physical representation is not yet present, but conformity claims the existence of a physical object created by applied mental objects acquired from the learning process. Achieved formulas and definitions were introduced regarding a domain which extends related scope over the education system boundaries and shown that the learner status should be gained within the learning process as a starting trigger of the process. Therefore the learning process has been understood from ubiquitous perspective. Abstract: At European level and not only, they have been searching for solutions to motivate students’ study within the STEM subjects (Science, Technology, Engineering, Mathematics). The initiatives carried out in this respect derive from a certain concern regarding the lack of labor able persons required by the 21st century economy. Even if STEM education could provide solutions to these problems by developing the students’ ability for problem solving, critical thinking, communication abilities,etc., there is a certain resentment in the students’ attitude towards these subjects. In order to acquire their motivation, A,”the power of creativity” has joined STEM’s ”innovation engine”. Flipped classroom instructional strategy is one of the means which can lead to the development of creativity within the STEAM (Science, Technology, Engineering, Art and Design, Mathematics). The present study suggests the approaching of flipped classroom strategy to ensure the passage from imitation to creativity within the framework of STEAM specific activities characteristic to the Romanian primary education. Abstract: The promise of using digital game elements for the goal of learning is that the privileges of games are being utilized in the educational environments. This study aims to assess the impact of clear goals on the learners in a gamified educational environment. This paper deals with five kinds of engagement-oriented features by which the clear goals defined including perfection, precision, presence, and pace. The learners are divided into five groups that to each of which one of the defined clear goals is assigned. To assess the impact of each type of clear goal, the inferential statistical tests on the means of each feature in different groups were done. The results indicate that the pace and perfection features are beneficial for defining clears goals, but three other features could not do the same job so that they seem to be ineffectual. In a further experiment, inferential statistics tests have been done again considering gender factor. The results were same except for the precision and punctuality features which showed to be neutral in the female group. The reason behind being beneficial is that such features are proper to be instructed. In the case of being ineffectual, the nature of the feature is unable to be guided. When a feature is neutral, it means that there is no enough evidence to judge its effectiveness. The results of this paper help researchers profoundly understand the function of clear goals with respect to the way the gamified educational environment is designed. Abstract: Educational ontologies are important resources for the support of didactical activities in a university (i.e. teaching, learning and examination). They conceptualize certain educational domains and can be used as standalone resources (i.e. strictly as a vocabulary of terms with their definition) or as “building blocks” for web-based education, e-learning platforms, and intelligent tutoring systems. The paper focuses on some details related to the development of an educational ontology for the course of Logic Programming thought at the Computer Science specialization. A preliminary form of a prototype ontology implemented in Protégé is also described. Title of paper: How Well Prepared Are the Primary Grades in Romania to Use Digital Textbooks? Abstract: Digital textbooks were introduced in the Romanian education system in 2014. In order to find out how prepared were the primary grades teachers and pupils to use the six digital textbooks of Mathematics and Environmental Exploration, for the 2nd grade, we administered a questionnaire. At the questionnaire, with 14 items, 36 primary grades teachers answered on a voluntary basis. We analyzed teachers’ information and opinions about the following: the context in which they achieved knowledge about the digital textbooks, how adequate the respective technology was, the appropriateness of infrastructure and human resource for using the respective textbooks, the electronic support and the electronic apparatuses used, the context of using them and the forms of organizing the activities for their use, the frequency of their use during classes, and the importance of working with those digital textbooks, as well as some of their disadvantages. Abstract: The primary grades teachers’ opinions about using the Mathematics and Environmental Exploration (MEE) digital textbook for the 2nd grade, edited by CD PRESS (2014) were collected by means of using a questionnaire. 16 primary grades teachers who used the textbook during classes agreed to complete the questionnaire voluntarily and anonymously. The research material consisted of the answers to the 10 items in the questionnaire. They focused on the following issues concerning the respective digital textbook: ways of choosing the digital textbook, frequency of its use during classes, types of the provided interactive multimedia extensions, elements characteristic of this digital textbook, its technical and functional features, procedures necessary for using it, procedures that can be realized on the text, observing the rules for writing the text, observing certain quality criteria/indicators, advantages of using the digital textbook. Abstract: The aim of our research was to analyse the primary grades teachers’ opinions about the interactive multimedia learning activities (IMLA) within the Mathematics and Environmental Exploration digital textbook for the 2nd grade, published by CD PRESS (2014). We collected teachers’ opinions, who used the textbook during classes, using a questionnaire that 16 teachers completed voluntarily and anonymously. We focused on the following issues concerning the IMLA: constituent elements of dynamic IMLA, methods and text types used during dynamic IMLA, efficiency degree of dynamic IMLA, according to the text type and its presentation, quality of the assessed activities according to 23 criteria, advantages and disadvantages of the dynamic IMLA. Abstract: The aim of our research was analysing the interactive multimedia learning activities (IMLA) with a Geography/Sciences contents within the Mathematics and Environmental Exploration digital textbooks for the 2nd grade, edited by the CD PRESS Publishing House in 2014. We conceived an assessment grid focusing a series of features of the respective Geography/Sciences activities: animation type, clarity and relevance of the included images, unfolding speed of the images, manner of realising the unfolding (e.g. zooming), existence of marking (e.g. arrows) and the accordance between image and orally transmitted information (image-oral text simultaneity), information correctness, information load amount, information accessibility, didactic method used, number of tasks, stimulated cognitive processes, and activity duration. Abstract: Because textiles can be assimilated with more or less homogeneous capillaria, hydrophilicity can be determined under laboratory conditions, through different and specific assessing methods and indicators, based on the principle of capillarity. In order to avoid inducing errors in the appreciation of the hydrophilicity, we recommend using in parallel multiple methods and comparing the results. This approach requires a large amount of time and work that can be simplified by the use of a software application presented in this paper. Application implies the creation of a database that enables the user to select the desired method for the determination of hydrophilicity and the introduction of the experimental values specific to this method. The calculated values of the indicators specific to the selected method as well as the related graphs keep on being generated. After finishing the methods selected by the user, the application allows to compare the results obtained for the reaction to water of the tested textiles by using the key COMPARISON. The software application can be used both as a teaching material for students as well as a working instrument for master students and PhD students and/or specialists in the field of textiles. Abstract: The hygroscopicity of textile fabric is determined by the nature of the raw material, the parameters of the technological processes for processing and finishing of yarns and textile surfaces, by the relative humidity of the outside environment, the permanence in a wet environment, the speed of air currents, the ambient air temperature, the condition of the dressed body. The software application, using the experimental values as the input data (the area of the test samples, the relative humidity of the environment, the permanence time of the test samples with fabric in the wet environment, the mass of the conditioned test samples, the mass of the test samples after being maintained in the environment with a certain relative humidity. Output data are: values of hygroscopicity obtained after certain periods of permanence in a wet environment, values of the hygroscopicity index corresponding to the same time intervals. There is a possibility of generating the hysteresis curves for each analyzed fabric, displaying the variation graph and histograms. The software application reduces the time and workload required for the input data processing, and it can be used both in research activities and in the teaching activities. Abstract: Improvement of education quality and effectiveness lies at the core of the education policy debate, both nation- and European Union-wide. According to the Lisbon strategy on social progress and cohesion in Europe, the quality of education and training is on top of the list of chief EU objectives until 2020. Enhancing performance in compulsory education, in particular improving science, reading and mathematics literacy, and in general equipping young people for a knowledge-based society are the main drivers in the framework of today’s education. 22. SANDEVA VASKA, PhD Assoc. Prof.
Abstract: Art is a human activity, product or idea of that activity associated with the senses, emotions and intellect. Art is inherent in humans making them separate and different from the other living beings. This conception of art as an autonomous activity is as a product of artists who are looking for beauty, dates back to ancient times. The simplest definition of the term art is that it is a human creativity. Although today the term art commonly involves visual art, the concept of what art is has constantly changed over the centuries. Perhaps the most consistent definition is the most general one - the notion that art refers to all creative and artistic actions of man. As a product of visual arts, the artist creates a composition that is a work of art. Composition means combining elements and principles in making a creation. The principles of good design are tools that the artist uses to create an effective composition. Whether a design is weak or strong depends on the knowledge of the artist designer for principles, and his ability to apply them. Based on the layout, there may be several types of composition. But when the elements do not have a proper arrangement, it is a chaotic composition. 23. DESPOT KATERINA, PhD Assoc. Prof.
Abstract: The crowd of people very rarely makes a distinction between the concepts of art and design and is very common confusion and mixing them. Elite and avant-garde designers like, theorists, critics through practice and theory for years tend to bring together the various philosophers to the table through various interactive examples. Industrialization as the main culprit enables these two separate disciplines to get directions and to develop within its meaning. The design works in the field where it is happening everyday practice and commerce, unlike art which allowed greater experimentation with ideas. The design is a victim of the entertainment industry. He's seen and experienced by almost everyone throughout the day. The design is communication and function in visual form, designed for the general population or a segment. Designer addresses specified needs and solves problems. Art is elitist; it means that you can view in galleries and museums, displayed far from the mainstream of everyday experience. One who sees art may or may not have significant experience. Both disciplines are visual and belong to the broad categories of visual art. Both include aesthetic principles. Both are highly creative activities including processes that require time, observation and reflection. 24. SHIVACHEVA-PINEDA IVANKA, PhD Prof.
Abstract: The article examines the possibilities of e-evaluation of the theoretical training of students in pedagogical disciplines. Effective options are sought for the control and evaluation of academic education. The advantages and disadvantages of traditional forms and methods of assessment are considered. The е-evaluation is probated through the Moodle e-learning platform. The results of this form of control as well as comparative analysis with traditional forms are presented. Conclusions are made on its feasibility in the theoretical training of future pedagogues. 25. CHEN ZHENGXIN, PhD Prof.
Abstract: Mental models play important role in virtual learning, because the success of virtual learning cannot be achieved without an effective mental model (or models) hehind it. Therefore, it is a critical important issue of mapping students’ mental models (which may be flawed) to the ideal mental model(s). On the other hand, ontologies also play important role in virtual learning, and the relationship between ontologies and mental models should also be studied In this study, starting from a survey of selected research work on these topics, we propose an approach of developing ontology-based mental models for effective virtual learning. A brief research agenda towards our goal is also presented. 26. CHEN ZHENGXIN, PhD Prof.
Abstract: A mental model is an explanation of someone's thought process about how something works in the real world. As such, students’ mental models on a particular subject play a critical role in all kinds of learning (including virtual learning). An effective virtual learning environment for learning a particular subject should aim at meximizing opportunities for students in developing good mental models for that subject. In addition, for the best outcome of learning, we also believe for computer science courses, granudate students should be able to check correcness of their mental models by themselves (even the term “mental model” is not necessarily explicitly introduced to students). In this paper, we explore the important role of conducting term projects in graduate-only Database Management Systems (DBMSs) for mental model development. Starting with an examination on mental models and their relationship with virtual learning environment, we discuss the rationale of designing term projects for these courses, and ways of doing it. We then present several case studies and present observations and lessons we have learned from these cases. We would like to encourage our colleagues from various parts of the world also pay good attention to the idea of “checking your own mental models” for effective learning, as well as for developing effective environments for virtual learning. 27. HORAȚIU CATALANO, PhD Assoc.Prof. Abstract: In this study, we aim to present the virtues of the digital / electronic portfolio, seen as an electronic collection of evidence: scientific papers, essays, reflections, factsheets, abstracts, records, cognitive maps etc. in the evaluation of pre-university teachers who are involved in the continuous training programs. As a research method, we used the questionnaire survey managed through Google Docs to 30 participants in one of the in-service training programs offered by the institution I represent. Abstract: The analysis of known literature show that there are a few publications related to measurement of color of white oregano essential oils. There are no known publications in accessible literature of measurement of color of these essential oils by document camera. Established is the possibility of measuring color with document camera in direction of determining the color characteristics of essential oils.The effectiveness of this type of measurement is confirmed by the study results. Abstract: In the present paper I will describe the stages of realizing a system that allows the control of DC motors by PWM and the change of rotation direction using H-bridge with relays, in order to achieve the movement of the seat, the headrest and the backrest, for the driver's seat. This system also monitors current consumption of motors using ACS714 current sensor. Upon reaching an obstacle, the current will rise above the nominal value, and when the sensor response through a processing circuit reaches the set threshold, the adjustment will stop. This system will be built using the Arduino Uno development platform. Abstract: The authors of present article highlight and analyze some useful aspects of the of digital textbook for musical education’s process of developing and implementing on the computer from the perspective of the initial training of the primary school teachers in the university system in the Republic of Moldova. Abstract: This paper presents the extension of Metasystems Learning Design Theory on Information Visualisation. Based on the hypothesis that educational norms have shifted considerably over the last decades, it is explained an innovative approach based on Lean Startup Theory. Within the context of global education, this chapter explores the Metasystems Learning Design Principles as a response to the research question: What is the information visualisation from the perspective of Metasystems Learning Design Theory? The chapter incorporates results of a survey regarding the students’ opinions of specific information visualisation features of the Metasystems Learning Design Theory and its practical applications with Open Educational Resources for the university courses: “Computational Chemistry”, “Knowledge Management” and “Scientific methodology and ethics of research”. This research serves the purpose of clearly illustrating the specific characteristics of information visualisation criteria in the higher education. Conclusions are provided at the end. Abstract: In recent years, social media have become more and more popular in both business and education. Their use has a number of advantages that students are familiar with and apply on a daily basis. The report examines the most commonly used social media and the opportunities for their application in education. The purpose of the report is to present the way in which some of the most popular social media combine with e-learning conducted at the Faculty of Techniques and Technology in Yambol. The advantages and disadvantages of using them are analyzed. Conclusions on results and prospects were made. Key words: social media, e-learning. 33. AILENI RALUCA MARIA, PhD Eng. Abstract: This paper presents an application of telemetry system for respiration rate monitoring for patients, athletes, fire-fighters or persons who work in dangerous environment. Remote patients monitoring is useful in case of chronic diseases (diabetes, hypertension, Chronic obstructive pulmonary disease, Alzheimer, asthma, breast cancer, heart failure, obesity, sleep disorders or depression), drug delivery, elderly rehabilitation or vital signs monitoring during the transport to hospital in of accidents. The telemetry involves remote data measurements and was used in testing moving vehicle such as cars, aircrafts or missiles. Biomedical telemetry allows measurement of physiological signals obtained from sensors and transmitted wirelessly to a controller device that can post process the signals and send alarms to patients, medical staff, call emergency or store data locally in critical events. Moreover, wearable devices are worn by the patient as an accessory or are embedded into garment with the help of conductive threads or flexible technologies, and can be used to monitor several physiological parameters (glucose or cardiac events) or to work as receivers – transmitters of vital signals to an aggregator. In this paper, the telemetry system based on sensor device with conductive electrodes was designed and simulated by using MATLAB Simulink. Data is collected by wireless to VitalMon software and was developed a software module Breath Rate VitalMon. These aspects presented in this work are useful for learning about Telemedicine based on Virtual Tools. 34. AILENI RALUCA MARIA, PhD Eng. Abstract: This paper presents a deep neural network (DNN) method for analyze and extract information from signals obtained from wearable devices for ECG. Data generated by biomedical monitoring can be extracted from knowledge database by using data mining algorithms in order to find patterns, to classify and generate a correlation analysis. Signal processing and deep artificial neural network for wearable ECG involves use of the algorithms for predictive hidden information extraction. The goal of using deep neural network for ECG signal processing is to develop a predictive and descriptive model that describe better cardiovascular diseases (e.g. ischemia, arrhythmias, heart block or others diseases) based on electrical signals obtained from biomedical sensors. This paper is useful in e-learning and training for e-health application. Moreover, this approach is useful for biometrical identification systems based on ECG. Abstract: Pedagogic Solitude (Schulman, 1993) exists in education with an unfortunate impact.. Through exploring the true passion of lecturers this study identifies that enabling individuals to take control of their own learning and CPD empowers them to be better teachers. Creating a culture where teachers drive their own development (see Fielding, 2005) has been shown to not only foster passion but also increase the outcomes of learners. Teachers have limited time, limited access to resources and training so therefore access to bottom up CPD is essential, This paper investigates the application of a teaching and learning portal developed within an FE setting that seeks to give teachers the platform to share, apply and learn themselves rather than have prescribed training enforced upon them. Abstract: This paper offers a brief analysis of the potential impact of digital resources and of activities dedicated to the arts, culture and heritage for increasing the attractiveness of school in rural areas. Considering the current educational aims regarding the development of the digital and cultural awareness and expression key competences, it is obvious that these components are not sufficiently explored in schools. In the Romanian K-12 education, there are some procedures that could support the integration of digital, artistic, cultural and heritage resources as learning opportunities in regular school activities, which could be used to develop long-term educational projects. We highlight good practices for improving the quality of education in rural areas, especially the eTwinning project, as well as the school-based curriculum and the so-called “integrated curriculum”. The results of our analysis support the idea that the integrated development of educational resources for heritage and digital resources may provide students with a more motivating learning context, focused on exploration, interaction and debate. In addition, digital resources could facilitate student access to information and collaboration networks, being able to support distance learning in rural schools. ZLATEV ZLATIN (1), Assistant Prof.
Abstract: The courses for Craft Tapestry in Egypt meet the required standards for the preparation of the students from Kafrelsheikh University, Egypt - Performance standards, Textiles and Apparel standard and Technological standards, when applying the electronic forms for training. The report are examined and analyzed the various forms for online collaboration solutions which shall be selected according to the specificity of each task which have to fulfill the students during their training. Presented are the most popular programming applications for sharing of knowledge, which are the most adaptive. Traced are the main stages for the implementation of the instruments for online collaboration. It was separated from the place of open source, shareware and free collaboration tools. They are made outlets are their role in improving the quality of the training in the conduct of the course in craft tapestry in Egypt. Abstract: This paper describes an Excel didactic tool for the study of the free fall in Earth’s gravitational field. The results are obtained in the spreadsheet both analytically and numerically. We considered a spherical body and the drag force quadratic in velocity. The analytical solution uses the explicit form of the solutions for the equation of motion. The numerical solution is based on an iterative process of generating the results under a tabular form exploring the equation of motion. With the help of a specific search function in the spreadsheet we can find the numerical values for the ground velocity and the fall time. The tool presented allows the comparative analysis for the free fall of a body in air and in vacuum. Moreover, it can also test in which conditions the motion in air can be approximated with the motion in vacuum. The tool can be created in the classroom, together with the students, under an analytic or a numerical form, according to their level of knowledge at a given moment. By using this tool we can check the equivalence between the results obtained through the analytical method and the results obtained through the numerical method. KARABALIEV MIROSLAV (2), PhD Assoc. Prof.
Abstract: The social media are used more successfully in the training. Despite the different views is an indisputable fact that their application increases the interest and the success of the students. Google Apps for Education is established before ten years with the idea to help the teachers and students to study and to share the materials in a new innovative way. With the addition of new tools such as Google Classroom and Hangouts for example, G Suite for Education offers more comfortable functionalities for training. They are designed with new smart features. In the report are represented and analyzed the instruments of G Suite for Education and their use in the education in Trakia University - Stara Zagora, Bulgaria by the registered domain name www.trakia-uni.bg. Special attention was devoted to the access to the Quality Management System and Integrated Management Information System by mail created solely by this domain. It is presented and the experience of teachers who have used Google Classroom in the preparation of the students in the Medical Faculty and the Faculty of Techniques and Technology - the town of Yambol. On the achieved results and the prospects for future application conclusions are made. Abstract: This paper proposes a solution built on the principles of e-democracy, based on Business Process Management. Its purpose is to reveal the features of this e-activity branch and corroborate them with the specific management processes to create a method for generating e-learning content. The WebRatio platform-based application refers to the democratic process of introducing a law project from its inception until the final approval to the vote. The e-democracy process corresponding to a new law project has four major stages: initiation, planning, execution, completion. The application is designed and deployed to be a strong binder between a democratically elected representative and the corresponding represented community through the active involvement of citizens in the public debate of laws and disclosure of the representative’s decisions on law projects proposed to be voted in plenary. The application allows easy, direct and open collaboration, oriented to community consultation, helping the representative to better acknowledge the community needs and desires, through transparent and accurate standardized communication, all these actions being related to debated and voted law drafts. The representative uploads in the application the law draft with the information necessary to disseminate its context and sends it to all community members enrolled in the application. The citizens present their views and communicate them to the representative, which gets all information through the centralized process. Thus, the representative can accomplish informed decision in accordance with the opinions of the citizens. Using the process, the representative shall inform citizens of its vote in plenary and justify it. Abstract: In order to simulate the online management of the real access system in an education and culture institution, a user-friendly web interface was designed using the latest IT technologies. Based on the analysis made in the case study of the Romanian National Museum of Art, the following needs were identified: to create an automated visitors registration system and to implement a management system for events and users. The management system allows the system administrator to add, delete, and edit users or new events via a web interface. The user enters the registration page of an event within the museum website. The signup page is set as the default page for all users accessing the app. Administrator's perspective allows access to the registered users and events management pages. The possibility for registered users to be automatically notified of the data regarding the events was created. Registered users can change/cancel a reservation to a booked-up event, and the administrator can manage users and events in a flexible simple way. The application is built on a modular structure, providing added stability, and the optimal blending of front-end technologies has provided users with a user-friendly and easy-to-use interface. It can be considered as a template for various other types of educational and cultural services. Abstract: Actual society surrounds children with many influential models, such as parents within the family, characters on children’s TV, friends within their peer group and teachers at school. These models provide examples of behavior to observe and imitate. 3D animated movies industry has grown in the last decade, offering sources of informational contents and popular animated characters became social models. According to SLT (Social learning theory), new behaviors can be acquired by observing and imitating others. Learning is a cognitive process that takes place in a social context and can occur purely through observation or direct instruction, even in the absence of motor reproduction or direct reinforcement. Nowadays, integrated curriculum is the major concern of primary school teachers. The current paper presents ways of integrating informal educational contents from 3D computer animated movies in Romanian curricular activities through the impact such movies have in children's life. 43. BELOIU ROBERT, PhD Assoc. Prof.
Abstract: The PLCs are vital control elements for automation of industrial and residential installations. They were introduced in practice with the purpose of changing from cabled logic schematics to programmable logic schematics. These devices allow different ways to be programmed. At their initial use they were intended to be used by electricians, the programming software was adapted to what these specialists were used. Nowadays, when high level programming languages are included in the educational curriculum in all technical universities, there was developed different programming environment for these devices. The article presents few programming environments that are used now in the industrial automated installations. There are mentioned some advantages and disadvantages for each of them. 44. BELOIU ROBERT, PhD Assoc. Prof. Title of paper: Control Systems Theory - every bachelor student should have a deep knowledge of everything? Abstract: Control Systems Theory is a course that is taught at most engineering faculties around the world. The objective of the course is to help the “future to be” specialists to analyze, especially the dynamic behavior of technical (but not exclusively) systems and design ways of adjusting it to fulfill the specified functional conditions. Thus, one chapter of this course is the controller design. In practice, there are few ways of doing this operation: dedicated graphical representation (root locus, frequency representation, state-space representation), specific mathematical algorithms (Ziegler-Nichols methods) and dedicated software tools. There are many complains from practitioners that many aspects they study at the university is not very well correlated with the practical aspects they encounter in most of the jobs. One of the complains is related to the Control Systems Theory course, especially because it requires more mathematical background than others. This article emphasizes the use of software packages that ease the work of the designer. Also, the author would like to raise the question of the utility of a complex mathematical algorithm, versus the use of software tools that masks its complexity, for an industrial engineer. 45. BOLDEA AFRODITA LILIANA, PhD Assoc. Prof.
Abstract: Astronomy holds a special place in the history of the sciences and is recognized as one of the oldest sciences, which has undergone considerable new developments due to space scientific research in astrometry and astrophysics nowadays. The present study focuses on describing the students' practical skills, scientific analysis and interpretation of real-world astrometry data using E-Learning concepts and specific teaching methods of a virtual classroom. The paper is based on the stages of didactic research methodology (preliminary analysis, realization, posteriori development and analysis) according to the didactic principles. This approach has been used to generate and improve modules that include virtual training lessons in astrometry, dedicated to students and future teachers. 46. ANANCHENKOVA POLINA, PhD Assoc. Prof.
BAZHENOVA SVETLAN, PhD Assist. Prof.
Abstract: The main part of the manual represents an interactive map of Russia with the main places of pilgrim tourism applied on it - the holy sites, monasteries, cathedrals, mosques, synagogues and other cult objects. The map is a practical manual for drawing up a route, calculation of a tour, creation and development of new pilgrim directions and their information support. The students using separate modules of this program are capable to make own algorithm and the guide to a certain route, to create the excursion story about the main stages of development of that, or other pilgrim place of interest, to examine interesting historic facts, myths, stories and beliefs. Brief information on a condition of this or that monastery, the temple complex, church, etc., statistics of their attendance, state programs and grants for the solution of problems of protection and support of pilgrim places in Russia are also listed in the manual. EMIL STEFAN BARNA (1), PhD Prof.
Abstract: This paper highlights a way of approaching Physics learning in the context of STEM (Science Technology Engineering Mathematics) and PBL (Project Based Learning) concepts. The main purpose of building this rover was to collect data about the environment it is in and where no man can go because of the narrow space or because of the harmful environment. The system’s design of movement allows it to go on any kind of soil, and, with improvements, even on water. It collects atmospheric data like methane and hydrogen, vital elements for surviving but also carbon monoxide. Even so, the atmospheric and soil temperature and humidity of the environment it is in, haven’t been forgotten. Our rover is also equipped with light and proximity sensors. To view the environment we use an IP wireless camera through WIFI technology. The camera is equipped with a night vision system and a special designed flashlight. CRISTINA MIRON (1), PhD Assoc. Prof.
Abstract: How is science produced? Do students need to understand how science is achieved? How can we reduce the gap between what students learn in the schools and what researchers find in their huge labs, using their huge computers? In this paper we will discuss how global society responds to the challenges of reducing the gap between the rapid advancement of Science and the slower evolution of the educational systems. We will present three directions in which important steps are taken: teachers’ training to integrate into their lessons the recent results of scientific research, facilitating dialogue between students and scientists and involving students in research activities. Is creativity a skill learnable in Physics lessons? In this paper we will justify that the answer is affirmative, if the students appropriately use the tools of information technologies. Using the GeoGebra software or the VPython programming language, classical Physics themes for high school gain new valences. The examples that we will present refer to the construction of interactive simulations of some optical phenomena, as well as to simulating the movements of the electric charge beams under the action of a uniform magnetic field. Abstract: Aims of this paper are to present the risks that may arise in teacher training for improving their digital skills. The research is part of a DECODE project. The instruments of research are focus-groups and interviews. In the paper are presented the results of research about the risks in implementation of ICT tools in schools. The threats in developing of teacher’ skills can be: creating of digital educational content in a bad manner; implementing of school management applications; misuse managing educational content. In terms of innovation in teaching, isn't balance between didactic work and time; depend on how much time is necessary to project didactic act, because the teachers have to work at home, at school, beyond the norm of teaching. For a teacher there are many teaching tasks, countless tasks bureaucratic and there is not enough time for the actual preparation of the didactic act. In fact, each course is an innovation adapted to the class; the teacher has to demonstrate creativity, empathy and adaptability. Also, can notate that, given the pace of development in this area, training should be very frequent, because changes sometimes occur faster than 2 years. It is acutely felt the lack of a satisfactory number of school licenses. The threats reveal into interviews are: the new school curricula are misunderstand by the teachers; prejudices from previous teachers experiences; some teachers believe that what they know at the moment is enough; ICT tools,both software and hardware, have the accelerated obsolescence. Abstract: Aims of this paper are to present the opportunities in teacher training for the enhancement of their digital skills. The results of research are based by focus group and interview tools. Opportunities are external factors that could have a positive impact on the enhancement of digital skills. Transforming computer on a way of communication, work, learning and instruction guide through a computerized environment, driven by the science of automatic data processing, and mediates the widespread using of the multimedia means. Collaborative skills are essential in teaching practice for improvement didactic act and professional evolution. At the same time, there is the opportunity for all teachers to develop basic skills in mathematics and science, which are essential in practicing this profession in the modern age which we are crossing. As conclussions, when talking about the opportunity to develop ICT skills, we mainly refer to: editing and storing documents (eg using GoogleDrive / Dropbox); creating and editing presentation materials and videos; working with tables; html programming; search for information on the Internet; e-learning. Also, opportunities created by on-line communication are a reality: communication is both horizontal between schools and vertically between the Ministry of Education, County School Inspectorates and schools. Video conferencing improves the communication and understanding of the transmitted message, it can interrelate better. There is a well-established communication system from hierarchical point of view, Ministry of National Education - County School Inspectorates - Schools and vice versa. Abstract: Assuming that current university students in Romania have acquired digital competence along their education experience, by themselves or in a formal context, this paper aims at investigating whether their digital competence has been used in relationship with developing their communication competence in English as a foreign language. According to statistics, most Romanian university students have been studying English as their first foreign language, even if they have been exposed to other foreign languages during their compulsory education, due to common reasons, mainly related to the international status gained by English. Thus, drawing on recent literature covering the link that has been or should be established between digital competence and learning English as a foreign language (EFL), a small-scale questionnaire survey was conducted in order to check the validity of our assumption and, also to identify the factors that might enable or block Romanian university students to develop confidence in using digital tools in this process. Our respondents’ answers reveal both the opportunities and the obstacles, leading us to the conclusion that English teachers in Romania should lay more emphasis on the practical issues related to the integration of digital skills into language learning strategies. ANTOHE STEFAN (2), PhD Prof.
Abstract: In this paper we present a photovoltaic system consisting of three photovoltaic modules: one of the fixed, one mounted on a tracker with one axis of rotation and another mounted on a two-axis tracker. A comparative study between the performances of these there photovoltaic modules will be done. This system allows the Internet to monitor the parameters, but also to write them in a text file for the purpose of making a photovoltaic school teaching based on practical results. Acquisition, processing, storing or transmitting data over the Internet on a web page is made with the Arduino Yun development board. 54. AVADANEI MANUELA- LACRAMIOARA, PhD Assoc. Prof.
LOGHIN EMIL- CONSTANTIN, PhD Candidate Assist. Abstract: In general, an engineer has to materialise a concept/ idea, a technical drawing, an image, etc. into a physical object with integrated form and functions. For this purpose, he/ she must combine art, science and advanced technology to create useful products, required by different categories of consumers. In a modern society, the consumer is more educated, sophisticated and he/ she is looking for diversified products, specially designed to fulfil their needs, but at lower prices (customized products). In the apparel industry, the customized products are present in all of its branches, even if we refer to personal objects (clothes, shoes, bags, etc.) or big or small home objects (furniture, curtains, carpets, etc.). The patterns of the customized garments must be designed with dedicated CAD software, which has special functions for personalizing this process. The results of this designing process are interactive changeable patterns of the garment parts/ elements, whose shapes and sizes change with the alteration of the values of initially used in the design scenario. The patterns are saved with coded names correlated with their function and role in the garment. By combining them in different ways, new customized models are created (shirts, skirts, trousers, blouses, etc.). This paper presents the main steps of elaborating such types of new models by taking into account some restrictions: the compatibility between the parts (the size and the geometry of the outlines contour), the garment functionality, the features of the model (structure, silhouette, cut lines), and the technological requirements. 55. OSACI-COSTACHE GABRIELA, PhD Assoc. Prof.
COCOŞ OCTAVIAN, PhD Assoc. Prof.
Abstract: The large-scale use of virtual resources by students and staff, especially in the context of Web 2.0, prompted us to design a teaching site (in Google Sites) for a number of disciplines related to Cartography and Topography. The main purpose was to support students in their learning and to promote a better organization of the teaching activities, according to the requirements of student-centered education. The accomplishment of this teaching site (https://sites.google.com/a/geo.unibuc.ro/cartografie-topografie-site-did...) came as a response to the opinions of 330 undergraduate and master students from the Faculty of Geography within the University of Bucharest. These opinions were expressed in October 2016, by answering an online questionnaire created in Google Forms. By analyzing the answers, we were able to identify the dominant preferences, which were subsequently included in the structure and content of the teaching site. Although 80% of the respondents had never used before a site like this, 97% appreciated that such a tool would be useful to them much and very much. For instance, most students demanded useful links (99%), course notes (71.5%), examples of good practical works (70.3%), tutorials (69.1%), etc. As regards the organization of the practical activities, 84.2% opted for resources that can be easily downloaded (data, maps, work files, etc. ), 69.7% for posting the final evaluation marks, 66.1% for posting the examination calendar, etc. So far, the site has proved to be very useful, because the connection between teacher and students can be established from anywhere and at any time. Abstract: The smartphones can nowadays be used as educational instruments in the Physics class due to their integrated sensors. Using the accelerometer of a smartphone the students can study the uniform circular motion and determine the physical quantities associated with it. In this paper we performed a series of experiments aimed at determining the medium values of the Cartesian components associated with the centripetal acceleration of a smartphone placed on a horizontal platform which performs a circular motion. Based on these determinations, we calculated the values of the other physical quantities associated with the uniform circular motion, such as the centripetal acceleration, the rotation period and frequency, the angular speed and the centrifugal force. We performed these experiments using three measurement methods of the centripetal acceleration: 1) on a small scale with a rotating disk; 2) on a medium scale, using a bicycle wheel; 3) on a large scale, using a merry-go-round from a park. The Cartesian components of the centripetal acceleration which the mobile phone was subjected to were observed in real time and recorded using the application Linear Accelerometer. 57. STUPINA ALENA (1), PhD Prof.
KORPACHEVA LARISA (2), PhD Assoc. Prof.
BAGDASARIAN IRINA (1), PhD Assoc. Prof.
GLOBA SVETLANA (1), PhD Assoc. Prof.
Abstract: The article analyzes the principles and technologies of open systems to substantiate the scheme for managing the interactive learning process in the system of open education within the framework of the processes of block-module formation of educational and methodological content. In particular, the information and technological aspect of the pedagogical design of the educational process in an open environment is studied, which requires fundamentally new approaches to the formation of the optimal structure of the information basis of interactive learning technologies. The high complexity and practical importance of the task of forming optimal information basis structures for open interactive adaptive-learning management systems determines the urgency of scientific research of the article. The authors of the article suggest an algorithm for the formation of educational content of open systems on the basis of the block-modular approach and optimization of the structure of individual modules of the teaching and methodological material of the automated learning system based on the principles of modeling dynamic networks. The proposed approach to the formation of educational content in an automated training system will increase overall performance of the training system, as well as automate the configuration of the educational trajectory considering the individual characteristics and priorities of the learner. Also, issues of standardization of mutual exchange processes for open-type computer-based learning systems are studied and approaches to modeling and standardizing the content of educational systems based on standard methods of packaging the content of educational courses are substantiated. The article substantiates the priority directions for improving the electronic educational environment of an open type, in particular, the integration direction with global educational networks for the implementation of the “transfer of educational technologies” strategy and supporting the business environment of the information-learning system as an intellectual resource. 58. SAZONOVA NATALIA, , PhD Assoc. Prof.
Abstract: The purpose of this paper is to continue our research of content design for Ural Federal University online EFL (English as a foreign language) course. In our previous study we surveyed the students to find out their preferences on the course content, including the ways of input for listening tasks. Choosing between audio file and video file as a form of instruction input, the majority (70%) of students preferred video. We designed an experiment to check if video input is easier to process for the students. We compared the results of two listening tasks of two groups at 4 CEFR levels (A1, A2, B1, B1+). At each level one group watched “task1” and listened to “task 2” and the other group listened to “task 1” and watched “task 2”. This way we eliminated the probability of results depending on the level and background knowledge of a particular group. After each group had a chance to both listen and watch, students gave feedback on the ways of input and explained their preferences. The results show that there is no significant dependance of students’ correct answers on the way of input. Analyzing students’ feedback we found that the ratio of video/audio preference is 50/50. Taking into account the results of our experiment and the fact that creating video content is much more time- and resource-consuming we made a conclusion that there is no need in preparing mostly video content for developing listening skills. Abstract: Remote training is a prospective way to get high quality education for unemployed and unoccupied people living far away from territories concentrating academic and educational centers. However, organization of remote training within system of employment service requires appropriate methodical skills of teachers and their readiness to use innovative technologies for remote training in educational process. - intermediary and final control. - not readiness of certain citizens (mostly of elder age) to self-development and mustering computer software and other programs. However, absolutely all teachers having used remote technologies in process of teaching their disciplines have noted prospects and efficiency of said technologies and possibility for their active use in process of training unemployed citizens. TAGHIYAREH FATTANEH, PhD Assoc. Prof.
Abstract: Previous researches have proven that using games or game elements in learning environments can lead to higher engagement of participants and improve learning. Also it is confirmed that personalization can increase the effectiveness of both games and learning systems. In this paper, we use the Felder and Silverman’s index of learning styles and intend to investigate the relationship between players’ learning styles and some of their game preferences. The game preferences we study are: 1. Small, step-by-step progressing of game objectives, 2. Challenge, 3. Extrinsic rewards, 4. Superiority, 5. Team working, and 6. Showing off. 131 people were asked to participate in our study. They took a Felder and Silverman learning styles test and then answered to a questionnaire designed to evaluate their interest about each of the game preferences mentioned above. Analysis of the responses submitted to our survey showed that people with active learning style preferred team-working more than individuals with reflective learning style. Two other statistical differences were found between the preferences of sensing and intuitive people, and between sequential and global people about step-by-step progressing of game objectives and another difference was observed between the preference of sensing and intuitive respondents about superiority. These findings can be used to personalize educational games based on players’ learning styles and can be generalized to non-educational games in order to get players more engaged. In addition, our results might be useful in creating applications capable of predicting player’s learning style. Abstract: The current method of user authentication in the mobile and web applications is by using a username and a password. The same method used fifty years ago. In this paper, we propose a method for identifying the users by their behavior. For that it is necessary to identify the user’s behavior characteristics for mobile and web applications, based on a predefined set of features. The analysis of individual behavior has been conducted in multiple areas including human-computer interaction. Researchers have been able to extract different interaction patterns that can be observed for various groups of users. To achieve the proposed objective we identified user types, user classification criteria and user behavior characteristics through analyzing the user response time together with types of controls used in applications. These user-specific properties can be further used to create specific profiles for each user and to identify the users by their behavior profile. 62. FRUMOS FLORIN (1), PhD Assoc. Prof.
Abstract: A survey of the literature dedicated to distance learning shows that authors uses most of the complex keywords, in an imprecise and improper manner. Terms like ILS, CMS, LMS, VLE or MOOC suffer some partial conceptual alteration, causing misunderstanding and confusion. Our paper has three aims: 1) to clarify at conceptual level these complex constructs specific to distance learning; 2) to offer examples for inconsistencies and conflictual usage of these constructs expressed by acronyms and, thus 3) to offer some general guidelines and also some specific criteria for critical reading of the literature in the field. The new recommendations of the High Level Group on the Modernisation of Higher Education (HLG-MHE) included in the report for the European Commission emphasize a zone where the electronic systems in education become vulnerable to virtual attacks or get exposed to risk factors regarding accessibility. This paper offers detailed guidelines elaborated for implementing the modern system Virtual Learning Environment (VLE) type that assures a similar access to the one in the classroom for presenting the materials to a Massive Open Online Course (MOOC) to all people, including the ones with critical immovability without reducing the safety offered by a Learning Management System (LMS). Abstract: The usage of markup technologies to specify knowledge to be processed according to a specific field of application is a common technique. This proposal deals with representation techniques based on markup language paradigm to describe various types of knowledge. Details on using KRP systems in education are presented. Abstract: The study of the free and damped harmonic oscillations can be performed during Physics classes using the accelerometer of a smartphone. The oscillating body suspended by a spring is the smartphone itself. Using the free app Linear Accelerometer from Google Play Store we can visualize in real time the Cartesian components of the acceleration vector associated with the movement of the mobile phone. In this paper we analyzed a one-dimension oscillatory motion of a smartphone and we performed a phenomenological study of a time-domain graph associated with the recording of the system’s acceleration, in order to calculate the defining parameters of the oscillatory motion. We focused both on the free harmonic oscillations regime and on the damped oscillations regime, using various springs with specific elastic constants. Abstract: The use of sensors in science projects increases interest in the study of physics, the motivation for learning through the project. It is possible to consolidate the knowledge gained in the class. It can be done as homework for teamwork or individual projects. These projects can aim at measuring and interpreting the various parameters characteristic of essential physical phenomena: magnetism, especially terrestrial, production and propagation of sounds, emission and absorption of light , etc. Interdisciplinary science competitions are a good opportunity for these projects to find another utility. Earth's magnetic field is a priority in geophysical investigations, it is essential in telecommunication, adaptation of species, in bird migration, an "umbrella" in the way of cosmic radiation. The paper presents a study of the Earth's magnetic field through the magnetometer sensor. RADESCU RADU, PhD Assoc. Prof.
Abstract: This paper proposes a modified internal functioning of the classical multilayer perceptron for an adaptive eLearning architecture. This research also aims to study the interaction between adaptive eLearning systems and the Knowledge Discovery in Databases process. The Knowledge Discovery in Databases process represents a sequence of steps that have as the ultimate goal the discovery of useful information in databases. This paper focuses on performing a data mining task such as classification inside the Knowledge Discovery in Databases process for an adaptive eLearning architecture. This task is achieved with a classical multilayer perceptron trained with the classical backpropagation algorithm with a small modification in terms of functioning: if the multilayer perceptron is blocked on a local minima after a number of training epochs its internal weights are reinitialized with random values. The classification problems that were analyzed were the classical data sets iris(plant classification problem), wine (wine classification problem) and conc (in this set we had two generated sets of stimuli arranged in a concentric way - one class inside the circle and the other one outside the circle). Further more we will propose an adaptive architecture that can be used in adaptive eLearning architectures. As a database management system we used MySql. In the used database we stored the neural networks as BLOBs(Binary Large Objects). This study is useful for the Knowledge Discovery in Databases process and it can be applied in many research areas such as: medical research, business, adaptive eLearning, astronomy, gaming, artificial intelligence, knowledge management. 68. VOLKOVA OLGA (1), PhD Prof.
BESSCHETNOVA OKSANA (2), PhD Prof.
ANANCHENKOVA POLINA (3), PhD Prof.
Abstract: There is an increasing number of orphans and children left without parental care worldwide according to national monitoring as well as individual scientific studies. A child training helps to improve the efficiency of their social adaptation and expand their world outlook. The research was carried out in 2016-2017 on the territory of 3 large regions of Russia (Belgorod, Saratov, Zabaykalye), and was based on the use of in-depth interviews with school teachers of informatics. The interviews of teachers (n = 84) confirmed the effectiveness of using multimedia and its positive impact on increasing the level of orphans training, especially in rural areas where children left without parental care can have an access to different kinds of professionals, such as psychologists, social workers, practitioners, etc. via Internet resources, as well as they can create a virtual group of children where discuss the most important issues concerning the children's adaptation and the methods of communication with their biological parents, potential foster parents, and another orphans. The remote training is conducted solely by posting information on the web-site of the organization, the use of tutorials, videos and audio materials. The most effective distance education methods are videos, themed movies, cartoons, short stories. One of the main factors of learning by using video is that every school teachers of informatics can create his/her own video to share the experience of solving typical orphans’ problems based on real life events. Abstract: Our paper starts from the idea that the acquisition of language is not a unitary phenomenon. The curriculum for kindergarten education proposes a series of objectives that target the development of some linguistic aspects. We have concentrated this input into five levels of language which are constantly aimed at throughout a school year for each study level in kindergarten, 3-5 years, 5-6 years. Practice in kindergarten has shown that the didactic game is the main activity for this level of age, favouring both the informative as well as the formative aspects of the learning process. By means of the game the children are spontaneous, sincere, show their tendencies, interests, and abilities. The communication function of the language is efficiently developed through the didactic game as it contributes to a great extent to the formation and development of all aspects of language: phonetic, lexical, morphological, syntactic and stylistic. Our focus is on the degree of development of these linguistic levels achieved through the use of the didactic game in the language education activities. The research offers data on language development for each level of kindergarten age so that the teachers and other practitioners should make the best decisions to improve preschoolers’ communication skills. Abstract: According to various definitions a hostile environment can be an unfriendly, tense context in which one can not have natural, relaxed manifestations. In school the hostile environment is usually associated to the authoritarian teacher. This teaching style can become repressive, discouraging intercommunication, the formation of autonomous, independent personality in students. Research has shown that a hostile atmosphere can induce in students a sense of helplessness, of dependence and estrangement from the subject studied. As a rule, in a hostile climate, students are afraid to talk, to express their opinions, thus leading to lack of self confidence and pessimism. Students have the tendency to give up when confronted to a new task. Our paper limits the research to the nonverbal and paraverbal aspects in teacher’s communication perceived as hostile by students. The sample involved in the research is made of students from gymnasium and high school. The data gathered offer teachers information on students’perspectives regarding a relevant range of nonverbal and paraverbal elements that determine a hostile communication environment. Acknowledging these elements is important if we are to take into account that the climate in the classroom determines students’ active participation in the communication and the learning process. Ignoring them would mean developing a barrier between teacher and students with repercussions on the school performance. 71. IVANA IVANIĆ, PhD Assistant Prof.
Abstract: This paper presents the results of an empirical study gained from 2015 to 2016 at the Faculty of Philosophy in Novi Sad, Serbia. The aim of the research was using modern methods of learning, nowadays accepted as e-learning, in promoting and teaching history of Romania, Romanian language and culture. Participants were all students of the Faculty of Philosophy who have chosen to learn Romanian as a foreign language. Professors introduced different methods of e-learning and focused the study on the impact of e-learning on students achievement. The number of students who participated is 30, from different departments: History, Serbian literature, Journalism, Comparative literature, German language and literature, Philosophy, Serbian language, English language and literature. It is concluded that e-learning provides better effectiveness in students achievement with immense influence on pedagogical and motivational factors. LABUS ALEKSANDRA, PhD Assistant Prof.
BOGDANOVIĆ ZORICA, PhD Assoc. Prof.
Abstract: In this paper the authors study the problem of designing new tools and approaches for a higher implementation of edutainment into formal e-learning. The main goal is to design an educational game in order to effectively support the teaching process in higher education. The developed game is based on Internet of things technologies and implemented as a part of a smart classroom. It includes IoT infrastructure for solving assignments within a course, a mobile application that students use to interact with the game and a component for integration with Moodle LMS. The game has been implemented within the educational process at Faculty of Organizational Sciences, University of Belgrade. Evaluation results show that this type of games has a positive impact on learning outcomes and students' interest. Abstract: Web applications that contain personalized offers involve an interaction between client and supplier. The supplier faces the difficulty of building a wide range of offers, which ultimately come to be personalized, and the customer is confronted with defining its requirements. An example might be a web application that offers houses with modular structure. The application can offer several types of homes, in which case it will only satisfy a small number of customers or can provide solutions for each client. Providing customized solutions to each customer can be accomplished through direct communication with the design expert, but this involves high costs or a small expert system that assists the customer in building the offer. This last solution implies a step-by-step development so that the expert system meets customer requirements in identifying supply data. A construction of customer demand details can become difficult and the client should learn to use the specialized software for house design, which would reduce the number of clients. The paper aims to present an approach that minimizes the costs of developing and operating such a software application. Abstract: There are industrial processes in development that use critical space resources to store the resulting elements in different production stages. Also, a difficult allocation of space resources leads to an increase in time resources due to fragmentation of space resources by increasing repositioning time. Reaching critical situations resource allocation of space, it may be due to evolutionary order size and type these commands. Reaching critical space allocation space situations may be due to both the evolution of the size of orders from suppliers and their types. An example of this is the line of sheet metal processing. In this case there are parts that are stackable and are parts that require a separate storage. This requires the use of the dynamic allocation of storage sites according to the other available resources and existing planning. The paper aims to present a way of solving the design of a software application for controlling a production line that involves the dynamic allocation of space resources. Abstract: The complexity of data structure grow in time. Meny technics are developed in order to control data's complexity. Data structures are dynamic, there are changed in time. A solution would have been the initial representation of data in specific structures of NoSQL databases, but this would involve periodic conversions between different data structures. The means are done by data's relations. Many physics data stored in the DBMS can be represented by the relationships between them. Translating problems from the formalism of representation through fixed structures in the formalism of representation through relationships can lead to increased scalability of the system. A variant of representation of these data consists of external JSON/XML files, or JSON/XML data that are part of DBMS. The paper aims to outline solutions for data representation having a structure that can evolve over time. 76. POPESCU DORU ANASTASIU (1), PhD Assoc. Prof.
Abstract: Nowadays, programming has a special role in technology development, so its teaching in our educational system is extremely important. Thus, the students need learning resources and platforms to develop their skills in algorithms’ implementation. In this paper we want to present the use of ASP.NET framework and other technologies in creating some platforms for algorithms’ implementation and testing, which can be successful used in the process of learning a programming language. VLASE AURELIAN (1), PhD Prof.
SINDILĂ GHEORGHE (1), PhD Prof.
Abstract: When it is calculated the extrusion force it is taken into account only the surfaces of the blank and of the desired extruded geometry. But different geometries with the same areas may have different force values. To prove this supposition there were made simulations using finite element method (FEM) for direct extrusion process. The software used was Deform 3D version 6.1 (service pack 2) and material was selected from the database (Al 99.8). The thickness of the blank is 5.5 mm and its diameter of 12 mm, resulting an area of 113.04 square mm. After the extrusion will be obtained different geometries with an area of 43.30 square mm. Results an extrusion ratio of 2.61. We have 5 different geometries: a circle with a diameter of 7.4251 mm, a square with sides of 6.5804 mm, a rectangle with 8.66 x 5 mm dimensions, an equilateral triangle with 10 mm side and a hexagon with 4.0825 mm sides. After the results were analyzed there was a difference of 8% between the minimum and maximum forces registered during simulations, that confirmed our supposition. The research will continue with different extrusion ratio and with other materials. After the simulation research using finite element method has been finished, we were able to design dies for these geometries and using a data acquisition system based on National Instruments technologies, we will be able to use the extrusion dies in laboratories experiments together with the students. Abstract: It is a well-known fact that the computer plays an important role in the day-to-day life of the students, while teachers have the task of exploiting this resource to enhance the quality of the instructional and educational process. Digital literacy of children is a phenomenon that, in most cases, precedes the onset of schooling, which allows for a shift from playful activities to activities that are subordinate to educational purposes. Unlike previous generations, today's students frequently use the computer for various purposes, and as a consequence, the teacher is in a position to integrate this tool into teaching, adapting their teaching strategies. Thus, we believe that it is important to know to what extent the use of computer in teaching subjects in the early years of schooling has a relevant contribution for the teacher. The present study is a research that has been conducted on a sample of primary school teachers (N = 62) in order to identify ways in which the computer integration in teaching is proven to be effective. Abstract: A tester achieves a successful bug reporting when he motivates the reader (i.e., the programmer) to spend his time to fix the issue and he overcomes the reader's objections to not fix the issue. In order to achieve a successful bug report, a six factor approach, named RIMGEN may be followed. The acronym stands for the six activities the reporter is required to perform from the moment he identifies a failure to the moment he sends the bug report. They are: Replication, Isolation, Maximization, Generalization, Externalization, and Neutral tone. The paper describes these activities together with a case study on a Open Office identified bug. 80. PÂNIȘOARĂ GEORGETA, PhD Assoc. Prof.
FĂT SILVIA, PhD Assoc. 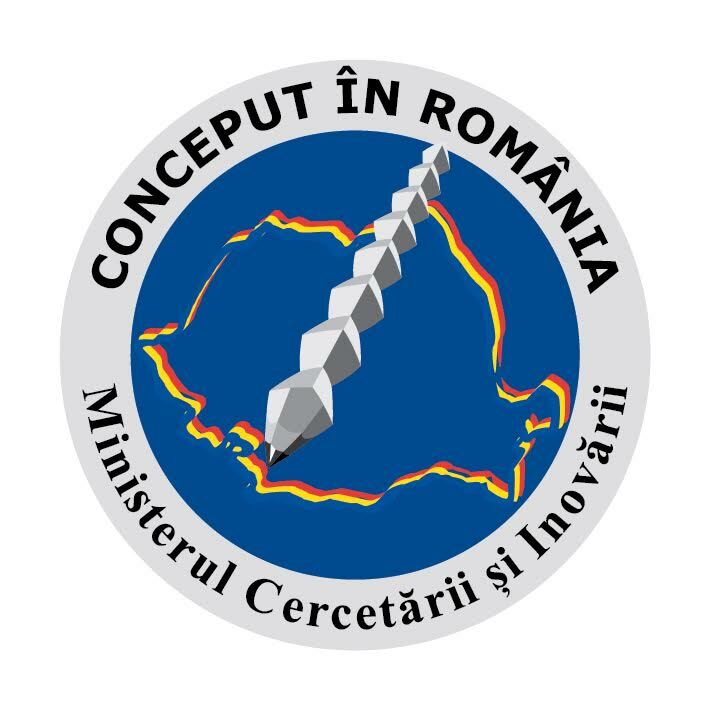 Prof.
Abstract: The authors present the current status of a Romanian project, in the field of computer-assisted speech therapy, in order to disseminate some actions and results in a structured manner. The whole project follows a few successive stages: documentation, research, resource design/developing and a testing process. Project partners, Ascendia SA, Faculty of Psychology and Sciences of Education, University of Bucharest and „Vasile Alecsandri” University of Bacău, offer, through an interactive platform, a complex framework for learning to those categories of speech impaired users, both children and adults with cerebrovascular accident. The future receivers of the project benefits will be speech therapists, parents, educators and/or teachers, psychologists etc. 81. OPREA MIHAELA, PhD Prof.
Abstract: Octav Onicescu is the greatest statistician that Romania ever had. He is the only Romanian statistician included in the Statisticians of the Centuries’ volume published in 2001 by Springer Science at the initiative of the International Statistical Institute. The paper presents an overview on the academician Octav Onicescu’s research activity in the field of informational statistics. Two major contributions brought to this domain are discussed: Onicescu’s informational energy and correlation, highlighting some applications’ areas and further developments. 82. ISTRATE OLIMPIUS, PhD Assoc. Prof.
Abstract: Sometimes, involving students in educational activities can be a challenge, especially when they lack motivation for learning, when they have gaps in preparation, when the results of the proposed exercise do not seem to be immediately applicable or when the topic addressed does not correspond to any need already acknowledged by the student. Although the ideal is a participation sustained by intrinsic motivation, by awareness of the usefulness of learning acquisitions, by the undertaking of a long-term effort towards knowledge and exploration, there are situations in which the integration of ludic elements is necessary and contributes to raising interest, revitalizing openess and motivation for learning. In addition, well designed games contribute to achieving learning goals and building skills for life. The article is looking upon the influence of gamification in formal education, trying to depict the effective ways and the conditions for integration of ludic activities into classroom teaching.